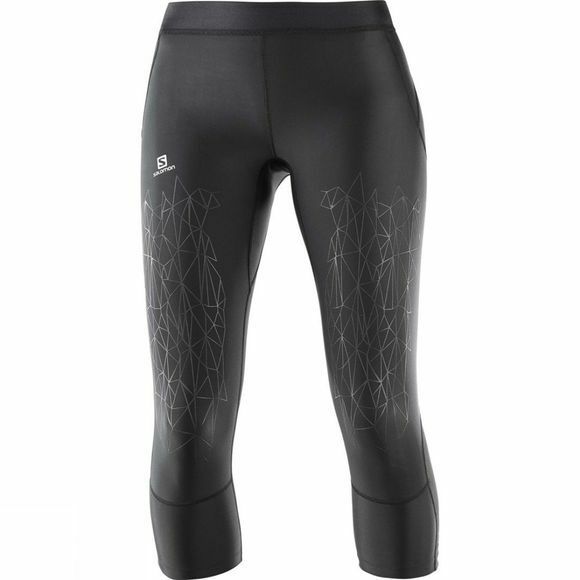 The Womens Intensity Mid Tight from Salomon has a soft elasticized waistband that ensures comfort for hours and a grippy print on the thighs is ideal for hand placement during ascents. The mid length easily transitions across seasons. Destined to become your go-to tight.